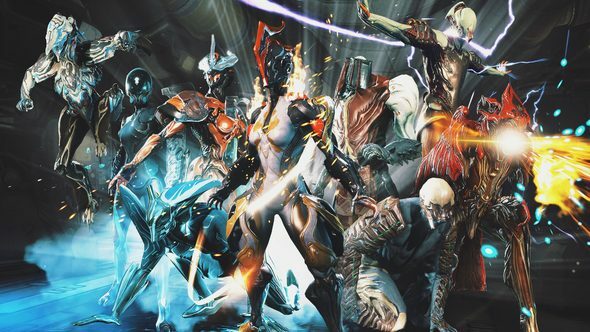 This year is going to be a big one for Digital Extremes as it marks the fifth anniversary of Warframe and the 25th birthday of the developers themselves. Check out how Warframe’s latest update – Shrine of the Eidolon – seriously reduces grind time. This March marks the fifth birthday of Warframe. To celebrate, the developers will be giving away free anniversary-themed items to all of the game’s players. 2018 is even bigger than Tyl Regor’s ego. This year marks @playwarframe‘s 5th Anniversary and @DigitalExtremes 25th! Last year, for Warframe’s fourth anniversary, Digital Extremes gifted players four free items during a four-day event. This year, the event may run longer. “Now that we’re in our fifth year we’ve sort of extended it by a day for every year, so it’s probably going to be five days or so of getting the free stuff but it’s not confirmed yet,” Ford says. Warframe’s fifth anniversary event will take place this March.